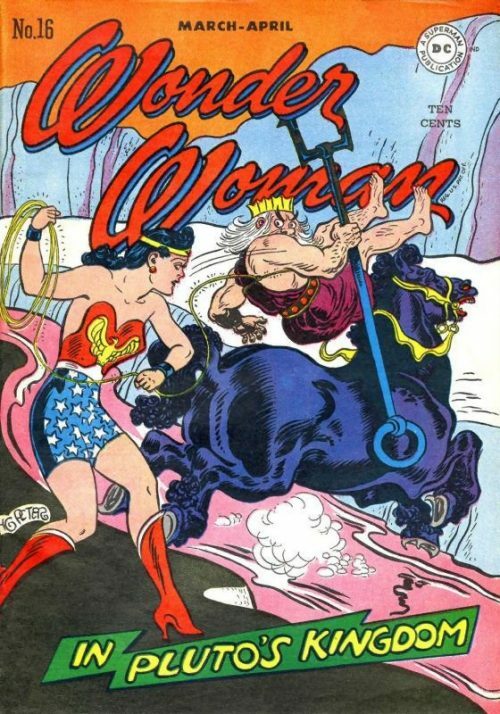 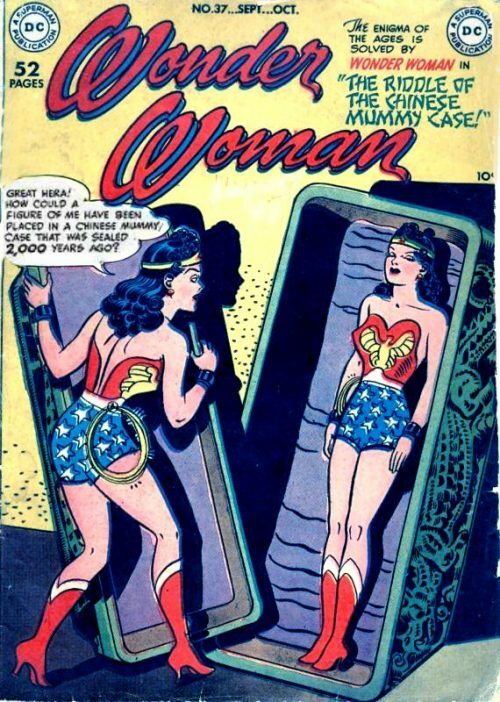 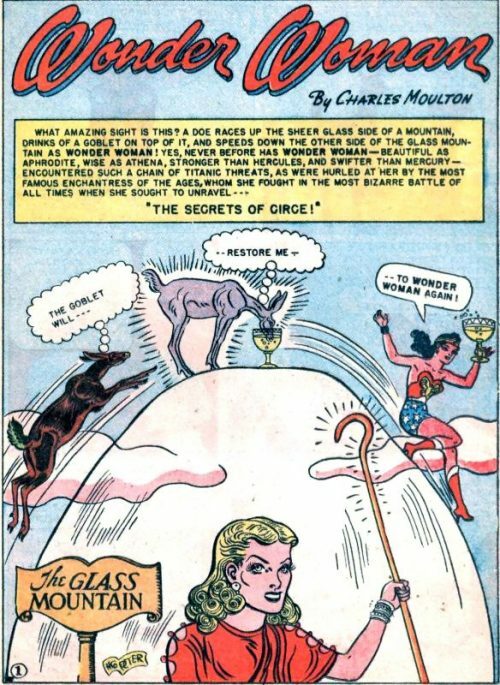 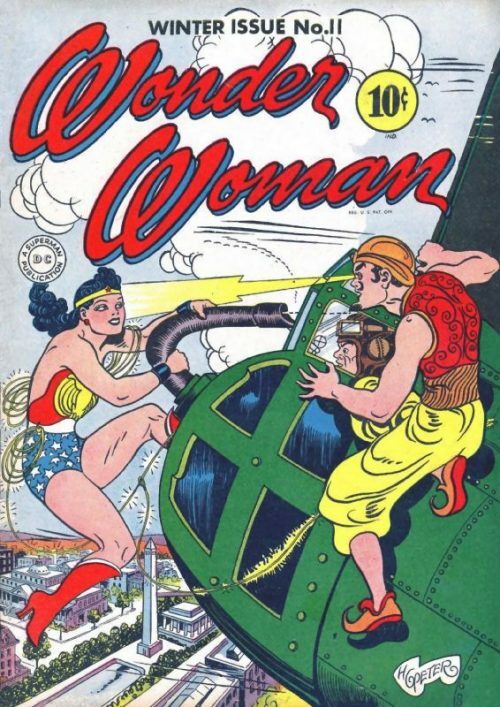 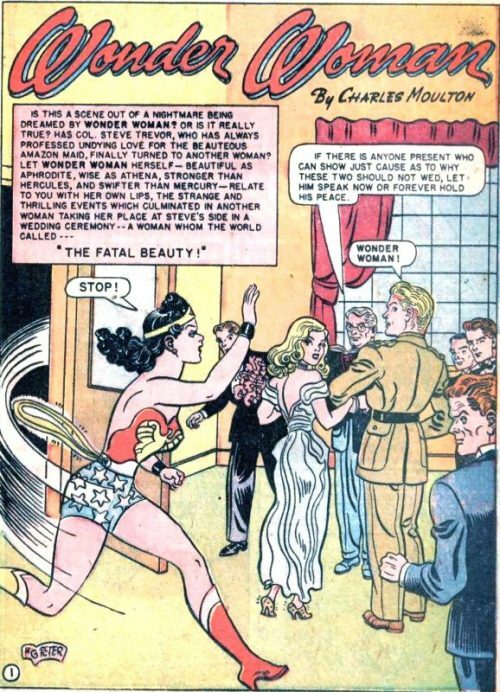 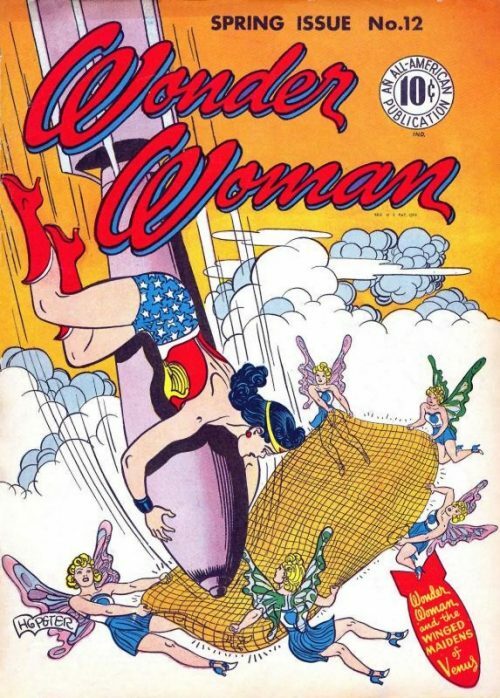 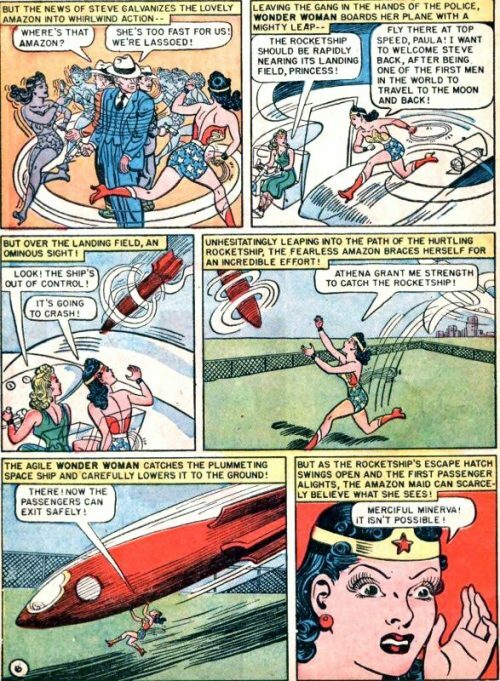 This issue sees the first and only Golden Age appearance of Circe, who many years later would become one of Wonder Woman’s most significant adversaries. 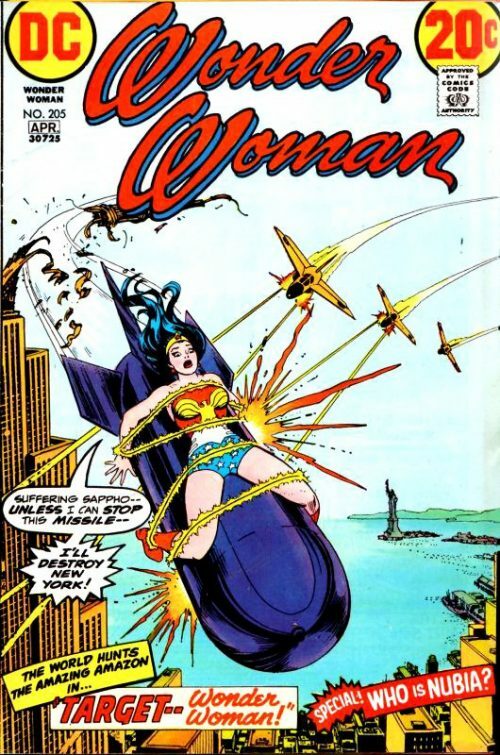 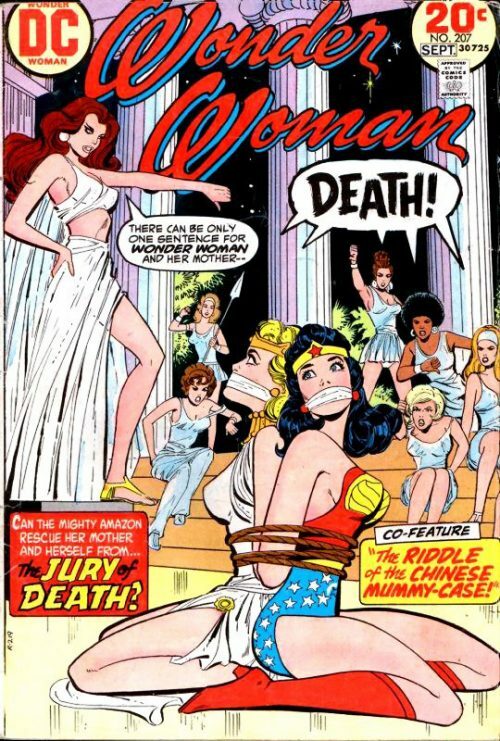 Circe does not reappear again as a villain until Wonder Woman #301. 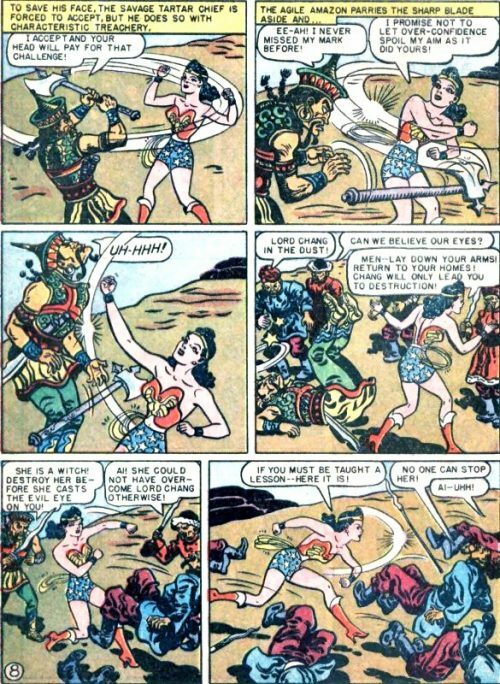 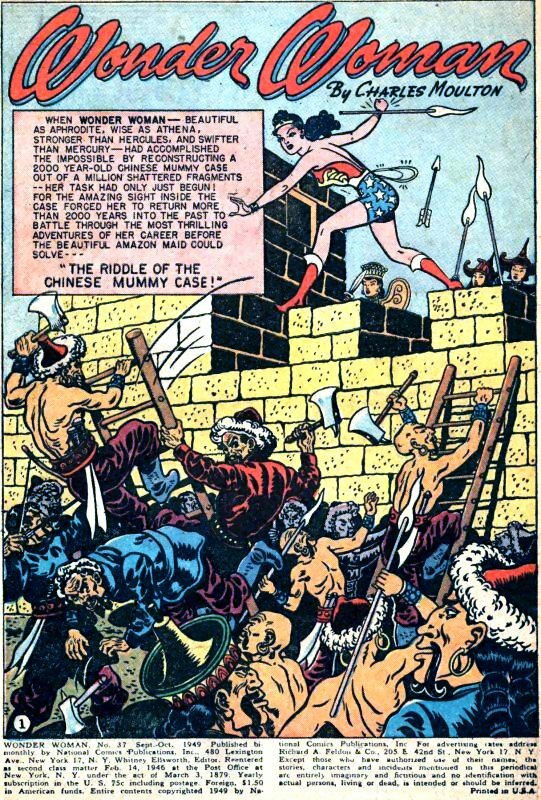 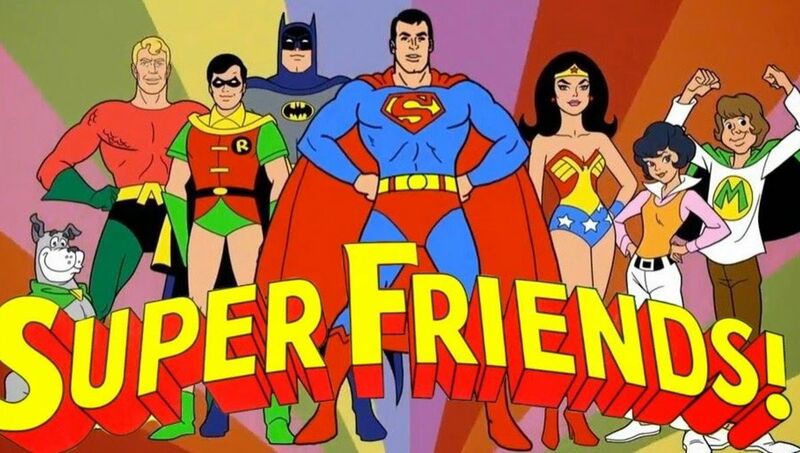 To solve the mystery of an Amazon artefact, Wonder Woman travels to ancient China, where she meets Chinese Amazons and helps them defeat Barbarian invaders. 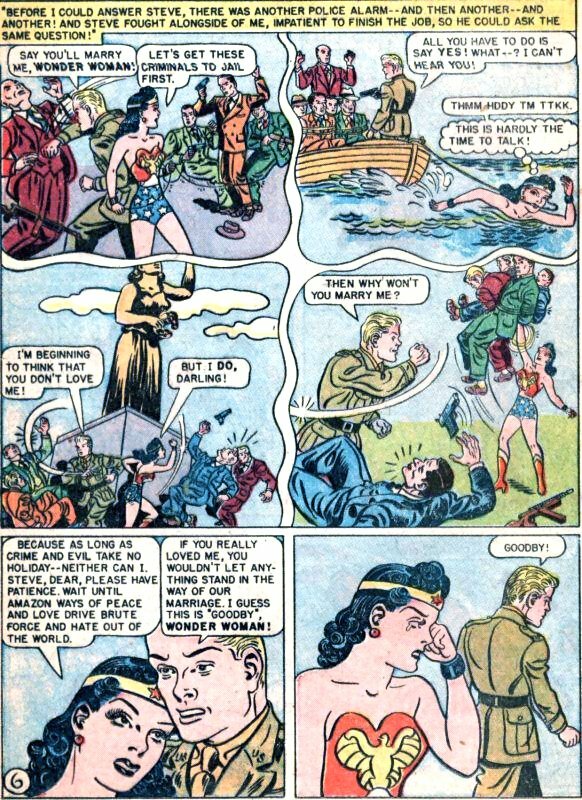 When Steve breaks off with Wonder Woman and takes up with actress Lorelei Lorn, Wonder Woman’s heart is tested when she’s assigned to protect Lorelei from the Gasher Jewel Gang. Wonder Woman travels to the enchanted island planet of Sorca, where Circe has captured Steve and his crew and turned them into animals.